Prepare yourselves for a deep dark ritualistic journey into the abyss of Tartarus, the mythical place for eternal divine punishment. Regard each track as a key that brings you closer to the underworld and you will have a glimpse of everlasting torment and suffering. 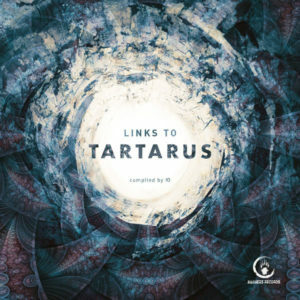 Links To Tartarus is compiled by Ю , mastered by DigitalX (Cyprus), featuring artwork by Mirko Maksimović, produced by Jyro, and released in 2018 by Badgers Records. Cannibals enjoy! MP3 Download | FLAC Download | WAV Download · Download count: 8,558. This is my favorite darkpsy release. Torment and suffering are merely the beginning. We have such sights to show you. We’re so proud to have released this one!! Thank YOU all Badgers for making this happen! Your support all these years has helped us keep up what we’re doing!